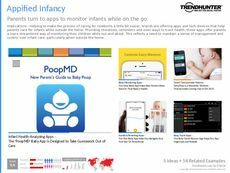 Find Better Ideas, Faster ® with a custom infant accessory trend report, our PRO Dashboard and 80+ categories of premium trend reports. The Infant Accessory Trend Report explores exciting new innovations in the market of baby accessories that creatively rethink the approach to the modern parenting experience. 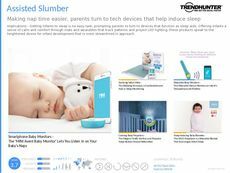 Using in-depth market research, we're able to track the latest technologies, product designs and revolutionary approaches to infant care that are some of the most popular with parental consumers today. 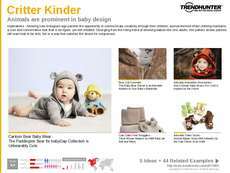 Our findings are designed to help infant product designers, marketers and retail professionals adopt new strategies based on proven surges in market momentum. 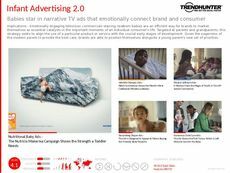 Learn by example to help kickstart your creativity and stay ahead of the competitive curve with this detailed research. 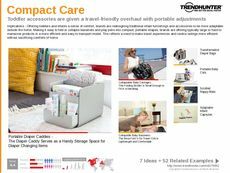 Trend Hunter's Infant Accessory Trend Report is an eye-opening look at new products designed for parents of today and tomorrow.